The Central Bureau of Investigation, which is probing the Ajmer and Hyderabad Mecca Masjid blasts, say that their case will not be complete unless they lay their hands on Swami Aseemanand — who is believed to be the leader of Hindu right wing groups carrying out subversive activities in the country. “While we continue to probe all angles relating to this case, the name that has been cropping up the most is that of Swami Aseemanand,” sources told rediff.com. Although his connection cropped first in connection with the Malegaon blast case, investigators believe that he was in the know of the blasts at Mecca Masjid, Hyderabad and Ajmer. The security agencies have the godman telephonic conversations with Sadhvi Pragya Singh, a prime accused arrested for her alleged role in the Malegaon case, they said. Prior to the blasts at Malegaon, the swami had made a call to the sadhvi and the Mumbai Anti Terrorism Squad has a recording of this conversation. The investigators have also managed to get a lot of information on meetings between the two prior to the Malegaon blasts. During one of these meetings he met Sadhvi Pragya Singh who shared similar views and they decided that the only way to curb this violence was through violence. Investigators say he is the key. They believe that he is like a father-figure to the likes of Davendra and Chandrashkar, prime suspects in the Goa, Ajmer and Hyderabad blasts. The CBI has been questioning the duo about the whereabouts of Aseemanand and the due said they last heard that he was in Gujarat. The investigators believe that he may have shifted base now since they were unable to track him down. However, they believe that he shares an extremely good rapport with the tribals in the Dangs district where he has been taking up re-conversion programmes. The investigating agency also firmly believes that the godman had played an important role in funding these attacks. He had a lot of funds coming in for his ashram and a major part of it could have been diverted to carry out subversive activities. After much delay and discussions, the interrogation of Lashkar-e-Tayiba operative David Headley by a team of the National Investigation Agency has come to an end. Sources close to the members of the investigating team told rediff.com that the Pakistani-American terror operative proved to be a tough nut to crack. 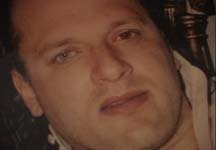 Headley was well prepared to face the NIA team’s questions and throughout the interrogations, he stuck to responses he had given to the officials of the Federal Bureau of Investigation, said sources. Headley had anticipated the kind of questions that the NIA team would ask, said sources, adding that the terror operative used his knowledge of American laws to his advantage. The first time the NIA interrogators met Headley, he told them that the plea bargain did not permit him to answer the questions posed to him, as it might implicate him further. But the Indian agencies sought legal counsel over the issue and managed to convince Headley that this provision would not stand in the way of the interrogation. Headley even demanded a questionnaire from the NIA team, which refused to give him one. 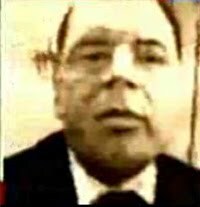 But the LeT operative didn’t venture beyond the answers or the information he had already given the FBI. 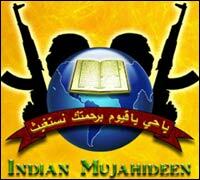 According to Indian security agencies, the exercise was not too fruitful overall. Headley spoke about his activities in India, his handlers in Pakistan and the role of the Inter Services Intelligence in planning the Mumbai terror attacks. But he refused to reveal too much information about his local links in India. As the Central Bureau of Investigation continues to join the dots on the Ajmer, Pune Goa and Mecca Masjid blasts cases, the probe so far has revealed that a very strong local network of Hindu right-wing groups in Hyderabad and Pune may have carried out these attacks. The Pune module of these groups has been functional for the past ten years and they have been carrying out small-time disruptive activities. They announced their arrival with the Nanded blast in April 2006. The CBI has been questioning various persons in connection with these cases, but they have picked up two men (Devendra and Chandrashekar) who have been saying a lot in custody. They are allegedly members of the Sanathan Sanstha, but the organisation has distanced itself from them terming them as fringe elements. Investigators are keen to find out local links in each case as without them none of these blasts would have been possible. Investigators have found that both the Ajmer and the Mecca Masjid blasts are identical. 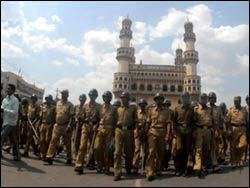 They believe that a strong local base in Hyderabad helped carry out both these blasts. The materials used in both cases were procured from the same source. 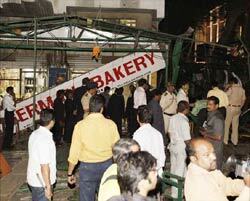 Moreover, the bombs have been assembled by the same module, which is based in Pune. 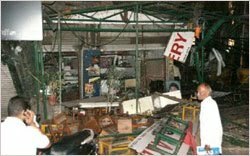 Sources told rediff.com that each blast cost nearly Rs 1.5 lakh and all the money was collected from the local modules both in Pune and Hyderabad. A small outfit in Hyderabad which the CBI does not want to name at this point started off three years back with 50 men. Today their strength has grown to almost 2,000 and they are extremely aggressive. They conduct camps and collect money during festivals and investigators feel that a large part of this money may have been diverted for these bomb blasts. The role of this organisation has come in for thorough scrutiny and some members are being questioned. The investigators also don’t rule out support from local political leaders. Sources say that these groups have intentionally divided themselves into smaller organisations but they have a very strong network. They have been carefully bifurcated to carry out specific jobs. Investigators say that these groups are headquartered in Pune and have their strongest networks in Rajasthan and Andhra Pradesh. While the Pune module has always been involved in the planning, it is the other two modules which have helped in the execution, investigators point out. However, investigators have not been able to find out is the link between the module run by Malegaon blast accused Lieutenant Colonel Srikant Purohit and the modules which carried out the Ajmer, Mecca Masjid, Goa and Pune blasts. “We believe that these two modules worked on these cases separately. It could well be a ploy to stay separate so that when one module is busted the other keeps going,” a source told rediff.com. Three years after the Mecca Masjid blast in Hyderabad, investigators stated that all evidence point to right-wing Hindu groups. However, this is no consolation for Imran Khan and 40 others who were arrested soon after the blast without proper evidence. The 2007 blast had killed nine people and injured several others. However, the wounds of the 40-odd people incuding Khan, arrested after the blast, may never heal. The blast changed Khan’s life — the Hyderabad police picked up the BTech student as the first suspect three days after the blast and released him after he was acquitted by local court after 17 months. “I don’t care whether it was a Hindu group of any other group which carried out this attack. My only concern is that the government of Andhra Pradesh should announce openly that they are sorry for what happened to me and the other innocents in the case,” he said. Khan feels life would continue to be difficult till the Andhra Pradesh government and Hyderabad police admitted their mistake, just as it had publicly declared him and others guilty three years ago. Khan said the police forced him to undergo a narco-analysis test and also made him confess falsely before the media. The Hyderabad resident said it was the Central Bureau of Investigation that saved him from the police’ shoddy investigation. “I was really assured when they (the CBI) told me that the case against me was baseless. They assured me that I would never face a problem again.After this, the police stopped troubling me,” he recollected. Khan is today pursuing his BTech again after it was cut short three years ago. However, restarting life after the trauma has not been easy. “In my case, the state police acted like a licenced goons. They said what they wanted and never realised the pain and misery it caused to my family. I am still studying and want to take up a respectable job. The Naxal movement is on the rebound in South India, Pramod aka Nandakumar, the Karnataka state secretary of the Communist Party of India-Maoist, has revealed to his interrogators. However, he has also revealed that the Naxal movement was facing a manpower crisis, especially in Bihar, West Bengal and Jharkhand. To make up for the shortage, trained Naxals from the south are being sent to those states, he said. The key Naxal leader was arrested in Hyderabad a week ago and was handed over to the Karnataka police, which had issued a lookout notice against him. Pramod, who also goes by the alias Ranganna, is a resident of Kannur, Kerala. He had joined the People’s War Group in Karnataka 12 years ago and is married to a Punjabi woman. His arrest can prove helpful to the police in obtaining information on Naxal activities in south India. Sources from the Karnataka police said Pramod had been actively involved in reviving the Naxal movement in the south and had been frequently travelling between Kerala, Andhra Pradesh and Karnataka, before his arrest. 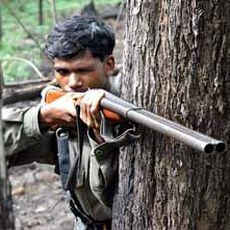 A source in the Karnataka police, which is interrogating the Naxal leader, told rediff.com that the directive and shifting of men to Bihar, West Bengal and Jharkhand indicated that the Naxals were busy intensifying operations in various parts of the country. Also, Pramod has said, Naxal leaders have decided to create a powerful south corridor. Naxal bases in Andhra Pradesh, which was earlier their stronghold, and Karnataka have collapsed after many men were captured or killed in encounters. Also, most of the high profile leaders moved away to the northern regions, Pramod told interrogators. The Karnataka police said the Naxals were facing a leadership crisis in the south and were finding it difficult even to gather men due to strict police vigilance and dwindling local support. The Karnataka police, which has successfully thwarted all Naxal operations in the state, said Pramod was giving out information very slowly. “He is extremely stubborn and is good at dodging questions. However we need to keep him in custody for a longer time,” the police said. He said that he is not aware of operations in Karnataka, but we have no reason to believe him, they added. Pramod’s has said that the movement suffered a big blow with the death of their key leader Saketh Rajan, who was killed in a police encounter in 2005. The Karnataka police said Pramod was not active in Karnataka, however he had signed several communications under the name Gangadhara.